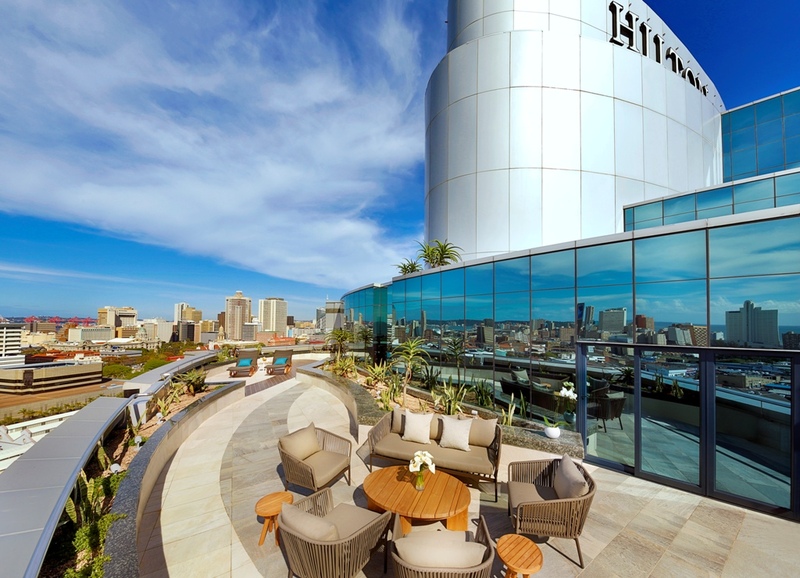 Durbanite recently had the pleasure of staying at the Hilton Durban. We submersed ourselves in the thought of being a tourist in our own city for the weekend. The Hilton Durban welcomed ‘the hubster’ and I with warm lighting, open spaces, charming ocean-inspired décor and welcoming smiles! The staff were fantastic and after a quick check-in it was up to the 14th floor we went. We had arrived at our room – our weekend of rest and relaxation had officially begun! Let’s be honest, sometimes what you see isn’t always what you get but I can happily confirm that in the case of the Hilton Durban, this certainly is the case and the expected level of luxury and comfort was met. We were booked into the King Executive Suite with Business Lounge Access. The linen was lush! Soft and crisp to the touch. The Executive Suite has everything you need for a weekend away. Coffee and tea station for a morning cuppa while you wake-up and soak-up the city or sea views. A comfy lounge with TV which is separate from the main room and en-suite bathroom. This room is only missing the kitchen… but with two fantastic restaurants a stone’s throw away, who needs to cook! The room was clean, spacious, comfortable and homey with the ocean theme continuing in the gorgeous wall art. With complimentary continental breakfast, refreshments, snacks and fresh fruit available throughout the day – it is a wonder anyone would ever want or need to leave the Hilton Durban! We popped into the lounge for breakfast and found the intimate buffet setting to be a delight! If you are able to upgrade to Business Lounge access during your stay at the Hilton Durban, you wont be disappointed. Set in the center of the lobby, seated on comfy lounge-style chairs (with coral inspired room dividers) the girls and I were able to relax, enjoy and indulge over some much needed QT. The chocolate fountain with strawberries for dipping was exciting and went down like a treat! I find that often the savory is overlooked but not in the case of the Hilton Durban. Each delight was carefully thought out and prepared. The overall balance between sweet and savory was fantastic. The Hilton Durban offers two exceptional dining experiences, be sure to check out our reviews of Vasco’s Restaurant and the Big Easy!